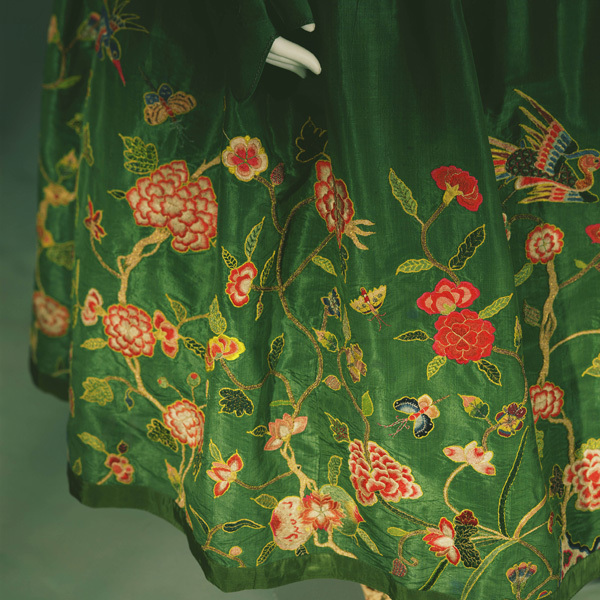 Green silk taffeta appliquéd with embroidered chinoiserie flowers, birds and insects. 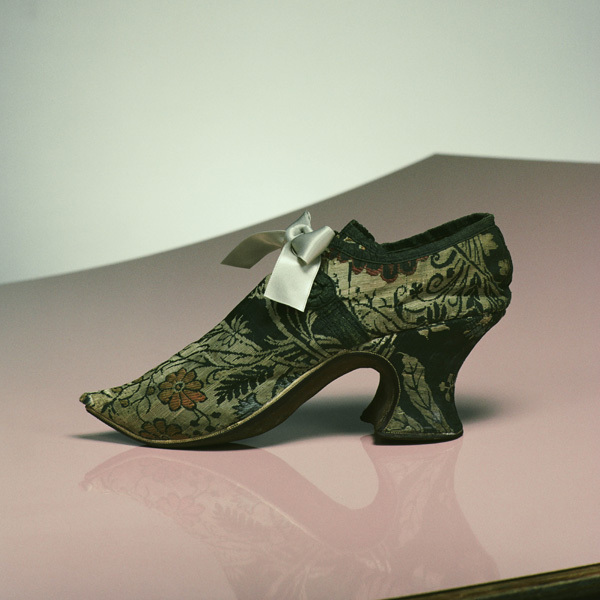 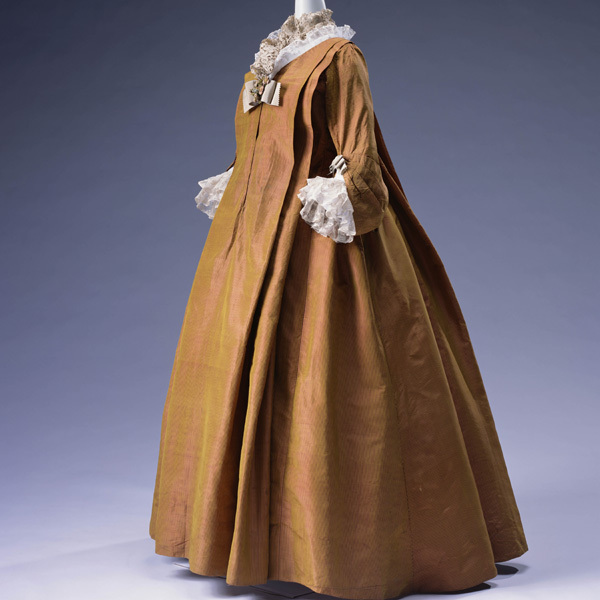 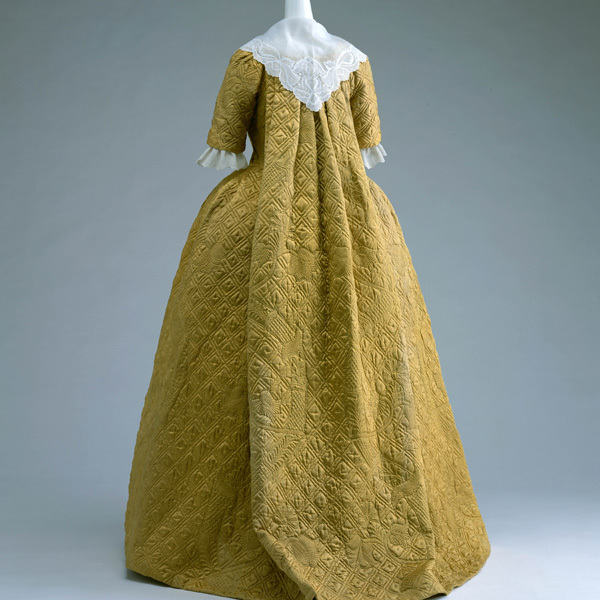 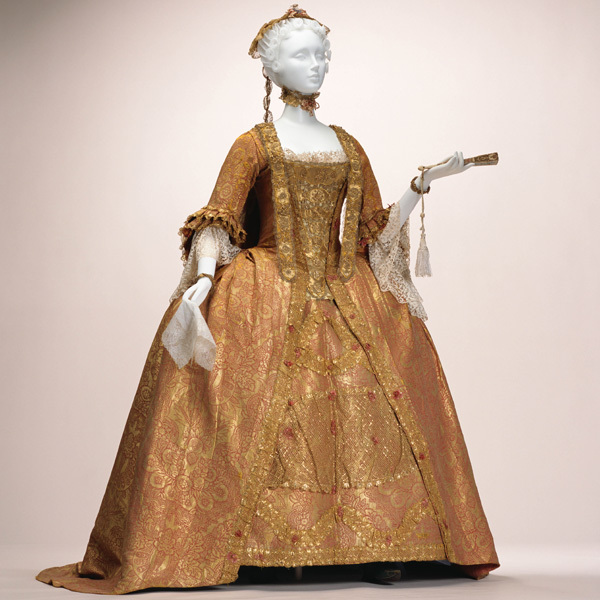 The petticoat, which corresponds to a skirt in a present item, reflected a Chinese influence. 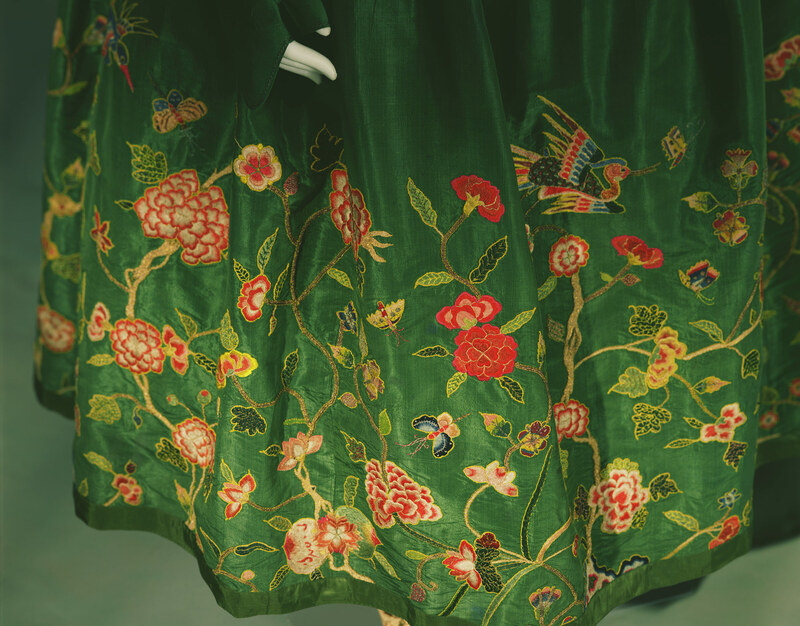 Through the use of Chinese embroidery that utilizes "ungen" (traditional coloring technique which expresses the zonal shade of the same hue), motifs such as the flowering plants, peaches which Chinese symbolic of the good omen, phoenixes, and butterflies are all expressed in brilliant colors and lively motion. 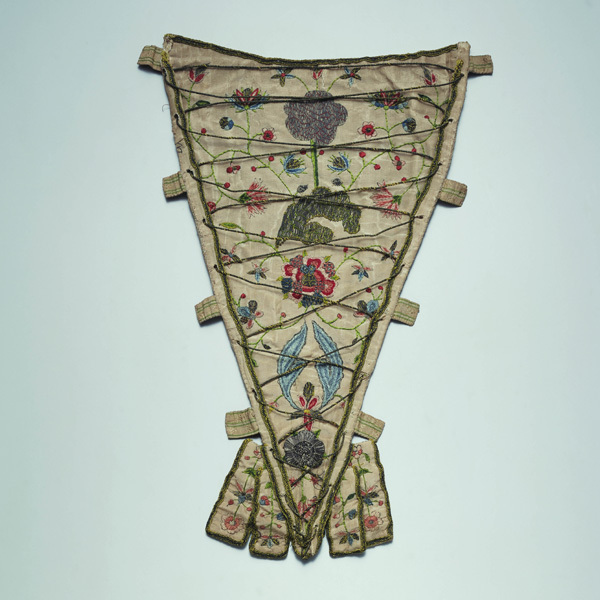 These motifs were cut out, then, in England, appliquéd onto this petticoat. 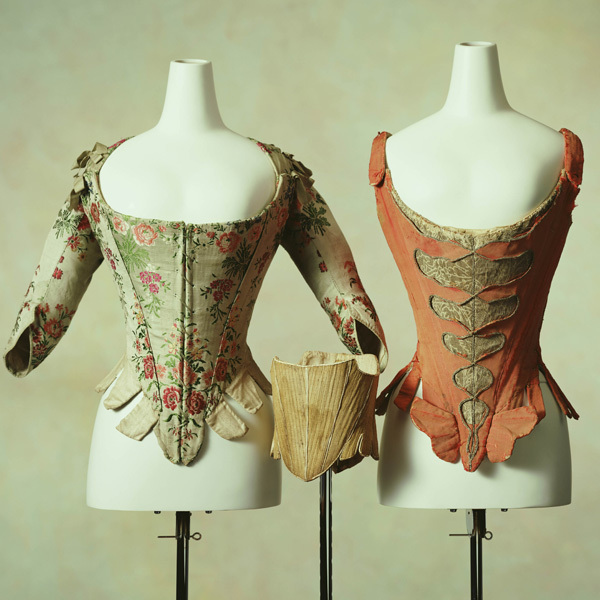 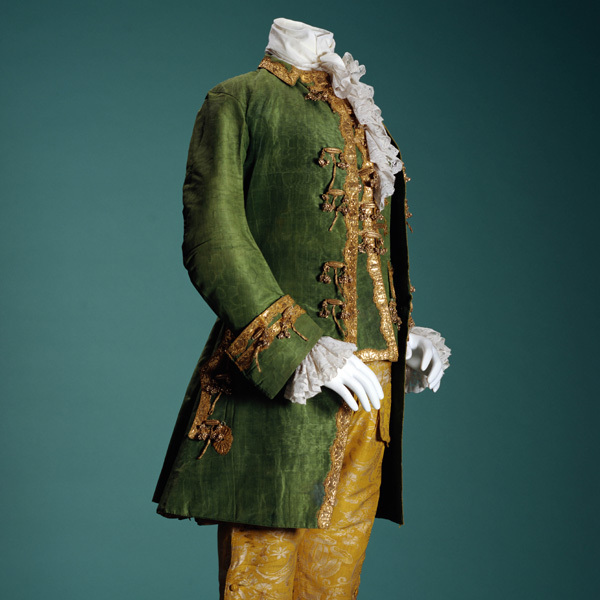 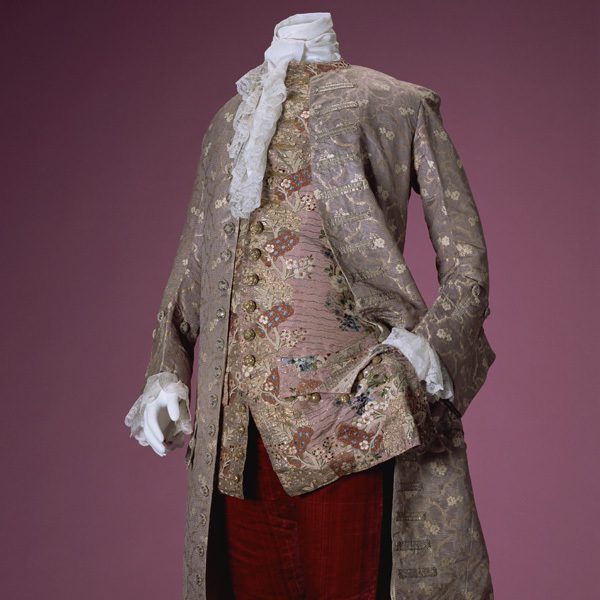 What charmed Europeans of the 18th century were items imported from the East, which had increased in number since the Age of Discovery. 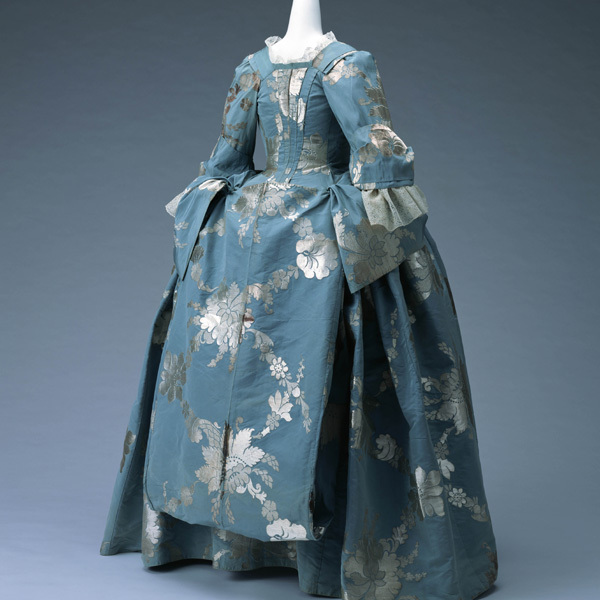 After especially the 17th century, Chinese items spurred on longing in the West for distant lands, leading the chinoiserie craze to be born. 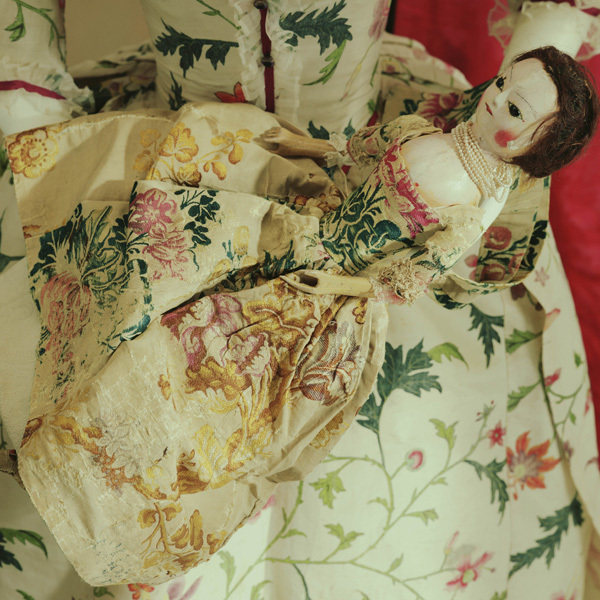 These rare, foreign visions of beauty became the sustenance of new creations in the West.